I'm really excited about today's review and giveaway. I remember when HappyCow was brand new, and I was a brand new vegan, and it was so refreshing to be able to look at the website and find out where I could eat with my new diet. Now, they have an app for smartphones and - even more exciting - a lovely new cookbook! Note: I received a complimentary copy of the cookbook, but all the comments and opinions expressed are my own. Doesn't it look beautiful? The inside is just as nice - it has full-color photos and descriptions of the restaurants and the head cooks or owners. 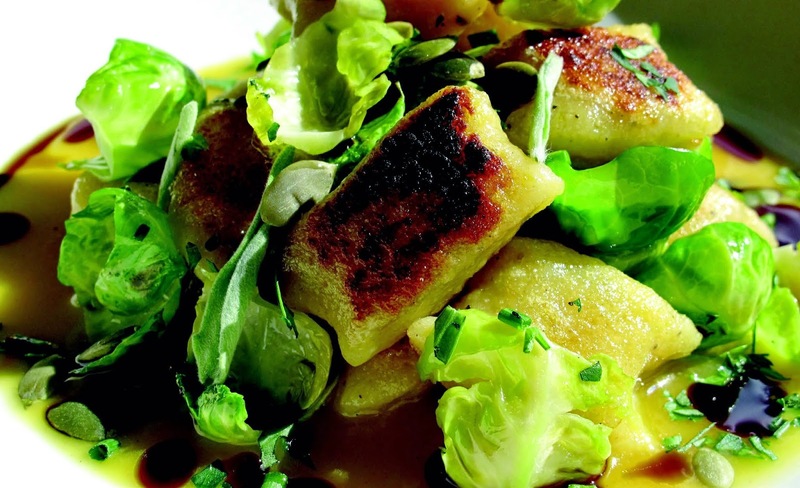 And, for those of you living in or from Portland, OR, there's an extra treat: there's a recipe from one of our very own all-vegan restaurants, Portobello Vegan Trattoria! I love this cookbook for many reasons, but I think my favorite part is that for every featured restaurant, there's two pages containing an interview with the chef or owner of the restaurant. Without visiting the restaurant, you're able to learn a bit more about the establishment, such as why the owner opened it, what motivates him/her to do what he/she does, what the most popular items on the menu are, and whether there are gluten-, soy- and/or sugar-free options on the menu. Following that interview, there's at least one recipe from the restaurant, with full-color photos. We split everything half and half, but I ordered the cauliflower steak with olive tapenade, which came with a side of vegetables. S ordered the ratatouille risotto, which was just as delicious. We finished with amazing homemade coconut milk ice cream - this flavor was vanilla bourbon. As you can see, Portobello is amazing, and I'm sure all the other restaurants in the cookbook are, too. I'm so excited to try at home many of the delicious meals or dishes I've had when traveling. This cookbook features some fantastic recipes from even more fantastic restaurants located all around the world; I guarantee this is a cookbook you'll want to add to your collection. 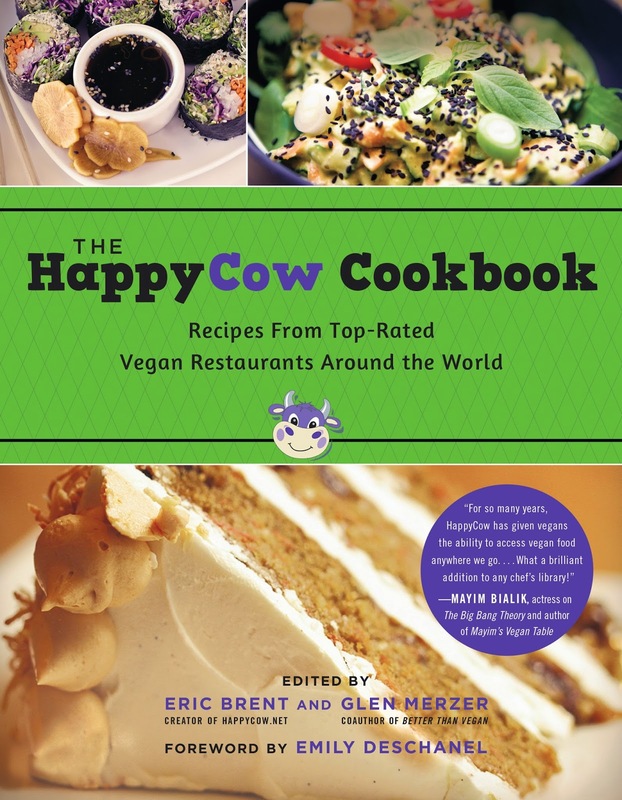 AND, because HappyCow is so awesome, they are letting me give away a copy of the cookbook to one lucky reader! Please see below for the rules and restrictions of this giveaway. The winner will be contacted next Thursday, September 4th.